Philippine Airlines (PAL), Asia’s first airlines and the national flag carrier of the Republic of the Philippines, showcases the best of the Filipino people and the country – warm hospitality, refreshing smiles, attentive service, and eagerness to help. PAL serves 31 destinations in the Philippines and 39 destinations overseas in Southeast and East Asia, the Middle East, Oceania, North America, and Europe from Ninoy Aquino International Airport’s Centennial Terminal 2 in Manila and the Mactan International Airport in Cebu. PAL code-share arrangements allow PAL to add more domestic and international points to its route network, offering more destinations worldwide. 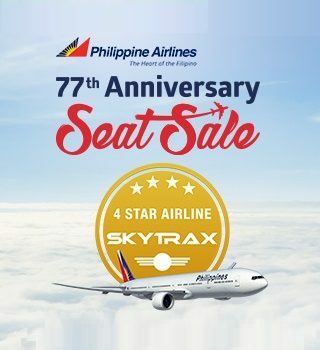 PAL operates an all-jet fleet of 76 aircrafts – six Boeing 777-300ERs, six Airbus 340-300s, fifteen Airbus 330-300s, twenty three Airbus 320-200s, seventeen A320-231, five Q400/DHC8-400 and four Q300/DHC8-300. Each of these is meticulously maintained by one of the region's best aircraft maintenance service providers – Lufthansa Technik Philippines. The two-class configured A320 jets make PAL the only Philippines carrier offering business-class services in the domestic market. Upgrades in the fleet and cabin amenities, complemented by world-class aircraft maintenance, enable PAL to keep its flights on schedule– achieving a consistent record of above-standard reliability and performance. From Kuala Lumpur, PAL allows four daily connections (via Singapore) to Manila and beyond. This includes code sharing with Malaysia Airlines five times daily Kuala Lumpur and Manila direct. 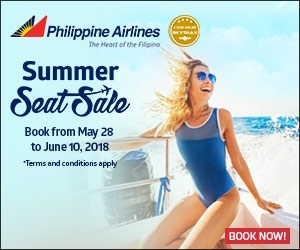 Philippine Airlines: Summer Seat Sale up to 50% OFF!!! 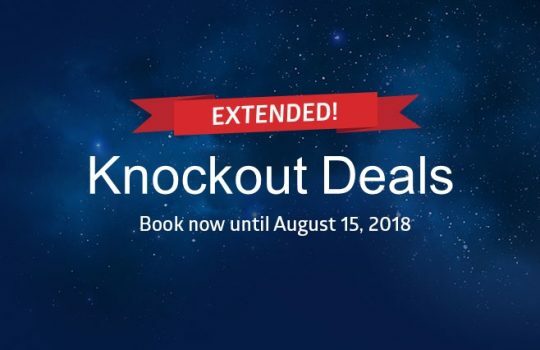 BOOK NOW!!! There are currently no downloads available for Philippines Airlines products. Copyright © 2016 Pacific World Travel Sdn Bhd (6086-P). All Rights Reserved.